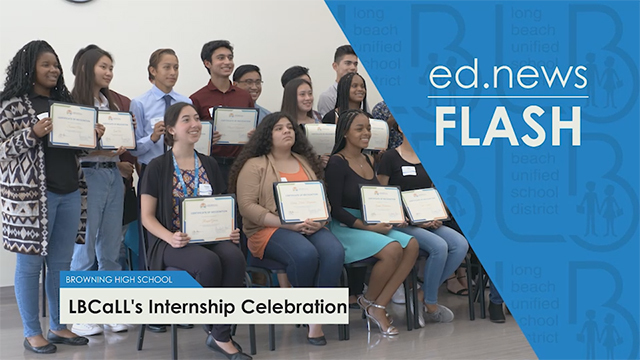 The nonprofit Long Beach Career-Linked Learning recognized local employers and summer interns during a recent event at Browning High School. Long Beach CaLL is a partnership among the Long Beach Unified School District, Long Beach City College and Cal State Long Beach. Nearly 150 employers and students gathered at the high school to celebrate the importance of real-world experiences for students and to honor the many talents CaLL interns brought to the workplace this summer. The goal of the program is to help young people develop personal and professional skills that contribute to their success in the workforce.  CaLL provided 93 summer internships, more than double compared to the prior year. More information for employers and students is available at longbeachcall.org. 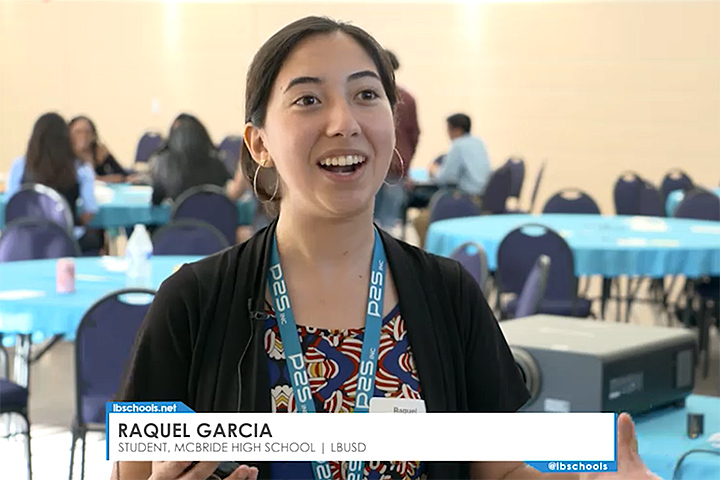 WORKPLACE LEARNING – McBride High School student and engineering intern Raquel Garcia was among the LBUSD summer interns honored during a recent event at Browning High School.